The Centers for Medicare & Medicaid Services’ Office of E-Health Standards and Services (OESS) is announcing that it will not initiate enforcement action for an additional three (3) months, through June 30, 2012, against any covered entity that is required to comply with the updated transactions standards adopted under the Health Insurance Portability and Accountability Act of 1996 (HIPAA): ASC X12 Version 5010 and NCPDP Versions D.0 and 3.0. Tags: ASC X12 Version 5010, Centers for Medicare & Medicaid Services, CMS, FFS, Health Insurance Portability and Accountability Act of 1996, June 20 2012, MAC, Medicare Administrative Contractors, Medicare Fee-for-Service, OESS, Office of E-Health Standards and Services, Part A claims, part B claims, transaction standards, Version D.O. Here are some of the most important regulations in health care that you should not only know about, but should be actively managing with a robust compliance plan. I am fortunate to be serving on the North Carolina MGMA Medicare Committee this year. When we met yesterday, the members were asked why we wanted to be on the committee. I said I couldn’t believe any practice manager wouldn’t want to be on the Medicare Committee! I want to be on the front lines, asking questions and trying to understand the massive changes hitting our practices daily. Don’t you? If you’re not a member of your local or state manager’s group and you’re not volunteering on one or more committees, why not? The Centers for Medicare & Medicaid Services (CMS) will host its ninth national education call regarding Medicare FFS’s implementation of HIPAA Version 5010 and D.0 transaction standards on August 25, 2010. This session will focus on the 835 Electronic Remittance Advice transaction. Subject matter experts will review Medicare FFS specific changes as well as general information to help the audience prepare for the transition; the presentation will be followed by a Q&A session. Registration will close at 2:00 p.m. EST on August 24, 2010, or when available space has been filled. Target Audience: Vendors, clearinghouses, and providers who will need to make Medicare FFS specific changes in compliance with HIPAA version 5010 requirements. Registration will close at 2:00 p.m. ET on August 24, 2010, or when available space has been filled. No exceptions will be made, so please be sure to register prior to this time. 1. To register for the call participants click here. 3. Verify your time zone is displayed correctly the drop down box. 6. If assistance for hearing impaired services is needed the request must be sent to medicare.ttt@palmettogba.com no later than 3 business day before the event. The Centers for Medicare & Medicaid Services (CMS) continues to break new ground and to enhance their outreach efforts to the public. CMS is now using social media outlets to get information out to their audience as fast as possible. Once you’re signed up, you can start “following” people and they can “follow” you. I am following people who have interesting things to say about healthcare, and also people who are writing blogs like me. Start by following me (@mpwhaley) and I’ll be glad to follow you. YouTube: Log on to the official CMS YouTube channel to view several videos currently available and more to come in the upcoming months. See an example of a CMS video below. A updated post on record retention with a simple record retention schedule can be found here. State laws generally govern how long medical records are to be retained. However, the Health Insurance Portability and Accountability Act (HIPAA) of 1996 administrative simplification rules require a covered entity, such as a physician billing Medicare, to retain required documentation for six years from the date of its creation or the date when it last was in effect, whichever is later. 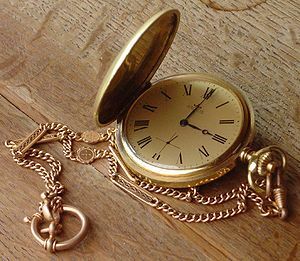 HIPAA requirements preempt State laws if they require shorter periods. Your State may require a longer retention period. 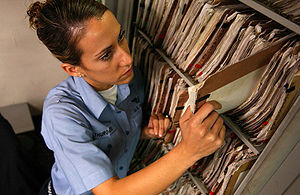 While the HIPAA Privacy Rule does not include medical record retention requirements, it does require that covered entities apply appropriate administrative, technical, and physical safeguards to protect the privacy of medical records and other protected health information (PHI) for whatever period such information is maintained by a covered entity, including through disposal. The Centers for Medicare & Medicaid Services (CMS) requires records of providers submitting cost reports to be retained in their original or legally reproduced form for a period of at least 5 years after the closure of the cost report. CMS requires Medicare managed care program providers to retain records for 10 years. Providers/suppliers should maintain a medical record for each Medicare beneficiary that is their patient. Medical records must be accurately written, promptly completed, accessible, properly filed and retained. Using a system of author identification and record maintenance that ensures the integrity of the authentication and protects the security of all record entries is a good practice. The Medicare program does not have requirements for the media formats for medical records. However, the medical record needs to be in its original form or in a legally reproduced form, which may be electronic, so that medical records may be reviewed and audited by authorized entities. Providers must have a medical record system that ensures that the record may be accessed and retrieved promptly. Providers may want to obtain legal advice concerning record retention after CMS-required time periods. For more information on the Medicare accreditation requirement for entities billing the technical component for advanced diagnostic imaging (CT, MRI, PET/Nuclear Medicine) effective January 1, 2012, read my post here. What exactly is an IDTF? If a substantial portion of the facility’s business involves the performance of diagnostic tests, the diagnostic testing services may be a sufficient separate business to require enrollment as an IDTF. In that case, the physician or physician group practice can continue to be enrolled as a physician or physician group practice but are also required to enroll as an IDTF. The physician or group can bill for professional fees and the diagnostic tests they perform on their patients using their billing number. Therefore, the practice must bill as an IDTF for diagnostic tests furnished to Medicare beneficiaries who are not regular patients of the physician or group practice. Who will receive a mailing? Enrolled physicians, non-physician practitioners, including single and multi- specialty clinics, and IDTFs who have billed the Medicare program for the technical component of advanced diagnostic testing services within the preceding six month period and who continue to have Medicare billing privileges with Medicare contractors (carriers and Part A/B Medicare Administrative Contractors (A/B MACs)) are affected. If you have billed the Medicare program for the technical component of advanced diagnostic testing services within the preceding six month period and continue to have Medicare billing privileges with Medicare contractors, you will receive a letter from your Medicare contractor advising you of the need to become accredited by January 1, 2012, in order to continue to provide these services and bill Medicare. When more than one physician or non-physician practitioner is operating within a group, such as a single specialty or multispecialty clinic, only the group will receive the letter, not each of the individual physicians or non-physician practitioners working for the group. What will the mailing say? services to your Medicare contractor. Your contractor will be mailing the letter quarterly beginning with July 2010 through July 2011. If necessary, follow the instructions in the letter to become accredited by January 1, 2012, in order to continue billing for the technical component of advance diagnostic imaging services. Make sure that your office staffs are aware of these new accreditation requirements and begin the accreditation process as soon as possible to protect your Medicare billing rights for these services. Why do IDTFs have to become accredited now? (TC) of advanced diagnostic imaging services. What qualifies as an advanced diagnostic imaging procedure? 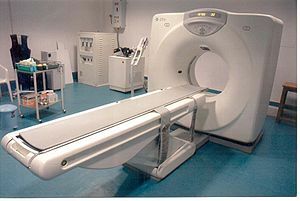 ”¢ Nuclear medicine imaging, such as positron emission tomography (PET). requirement diagnostic and screening mammography, which are subject to quality oversight by the Food and Drug Administration under the Mammography Quality Standards Act. Since CMS expects that it may take as much as nine months from the time you initiate the accreditation process to completion, you should begin the accreditation process for advanced diagnostic imaging services as soon as possible, but not later than March 2011.
Who are the accrediting organizations? the image. All accreditation organizations have quality standards that address the safety of the equipment as well as the safety of the patients and staff. In accordance with Section 135(a) of the Medicare Improvements for Patients and Providers Act of 2008 (MIPPA), suppliers, including but not limited to physicians, non-physician practitioners and Independent Diagnostic Testing Facilities that furnish the technical component (TC) of advanced diagnostic imaging services must be accredited by January 1, 2012 in order to continue to furnish these services to Medicare beneficiaries. 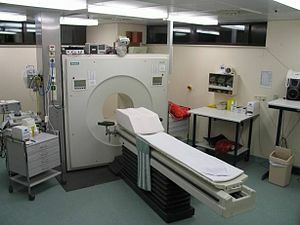 Our records indicate that you have furnished advanced diagnostic imaging procedures such as diagnostic magnetic resonance imaging (MRI), computed tomography (CT), and nuclear medicine imaging such as positron emission tomography (PET) within the last six months. If you are not accredited by one of the organizations shown below by January 1, 2012, you will not be eligible to bill the Medicare program for advanced diagnostic imaging services. 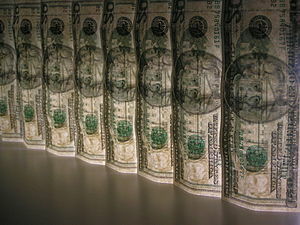 This letter requests that you take the necessary action to become accredited by the January 1, 2012 deadline. Since we expect it can take up to nine months from the time you initiate the accreditation process to completion, we urge you to begin the accreditation process for advanced diagnostic imaging services as soon as possible. MIPPA expressly excludes from the accreditation requirement x-ray, ultrasound, and fluoroscopy procedures. The law also excludes from the CMS accreditation requirement diagnostic and screening mammography which are already subject to quality oversight by the Food and Drug Administration under the Mammography Quality Standards Act. The Centers for Medicare & Medicaid Services (CMS) approved three national accreditation organizations ”“ the American College of Radiology, the Intersocietal Accreditation Commission, and The Joint Commission – to provide accreditation services for suppliers of the TC of advanced diagnostic imaging procedures. The accreditation will apply only to the suppliers of the images themselves, and not to the physician interpreting the image. All accreditation organizations have quality standards that address the safety of the equipment as well as the safety of the patients and staff. The accrediting organization that issues your accreditation will notify Medicare once your accreditation is complete and approved. To obtain additional information about the accreditation process, please contact the accreditation organizations shown below. If you have questions about this letter, contact [carrier or A/B MAC phone number/contact person]. In consideration of the recent enactment of the Preservation of Access to Care for Medicare Beneficiaries and Pension Relief Act of 2010, which established a 2.2 percent update to the Medicare Physician Fee Schedule (MPFS), the Centers for Medicare & Medicare Services (CMS) is offering physicians and other practitioners, whose current participation status is non-participating, the opportunity to become participating (PAR). This opportunity is being offered only to those physicians/practitioners whose current PAR status is non-participating. This opportunity is available through July 16, 2010. Non-participating physicians/practitioners who would like to become a participating physician/practitioner should download and complete the Medicare Participating Physician or Supplier Agreement (Form CMS-460). The form can be obtained by using the following CMS web site link: http://www.cms.gov/cmsforms/downloads/cms460.pdf. Any new CMS-460 form received during this limited enrollment period will be retroactive for claims with dates of service of January 1, 2010, and later. However, the change in participation status will only apply to new MPFS claims submitted after your new status as a participating physician/practitioner is processed. Claims previously submitted and processed will not be adjusted for only a change in participation status. Medicare claims administration contractors (Medicare Administrative Contractors and carriers) will accept and process requests to become a participating physician/practitioner that are submitted on the CMS-460 form and are post-marked on or before July 16, 2010.